Fall is here which means leaves, Halloween, Thanksgiving around the corner and pumpkin everything including coffee. 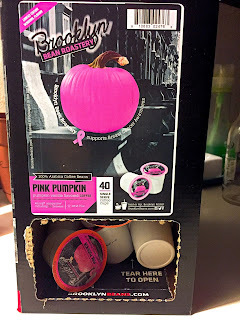 I love pumpkin and do make a point to try most pumpkin products that come my way. 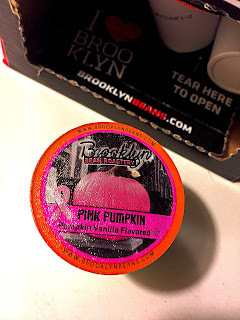 Brooklyn Bean's Pink Pumpkin coffee comes in a pretty pink labelled K-Cup and tastes divine. It is like pumpkin pie with a dollop of whipped cream on top. If that description isn't enough to make you want to try Pink Pumpkin you should know that every time you purchase Pink Pumpkin a portion of the proceeds goes toward breast cancer awareness. I think this is one of my favorite coffees ever. 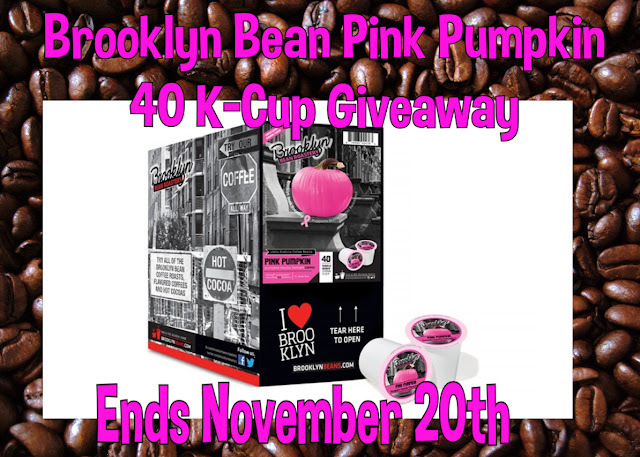 I received a 40 K-Cup box a week ago and have gone through more than 18 K-Cups all by myself. So, that would be the only downside. You drink more coffee. 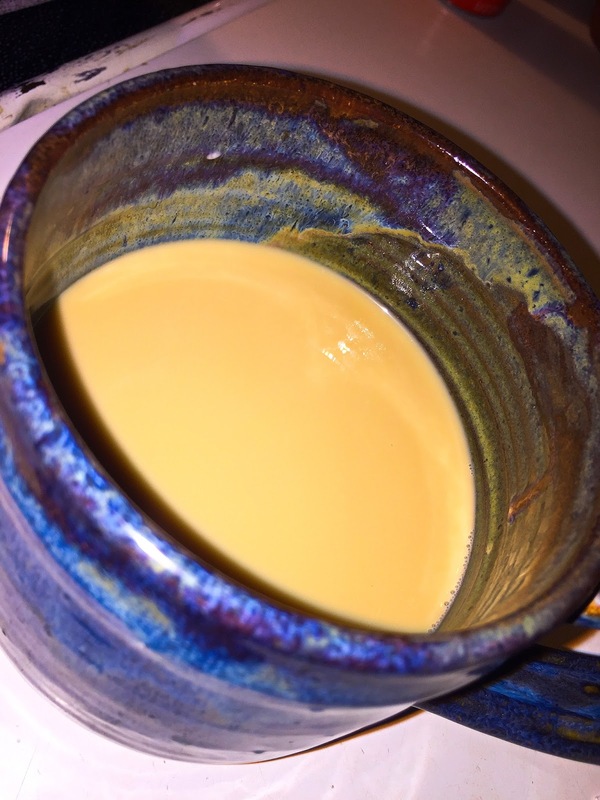 Here is the cup I am literally drinking right now! It is amazing. I can't wait to go to work tomorrow so I can share it with my co-workers but not too many. Wink!